Uber has been trying to re-enter the Cancun market for about a year, but it appears the ride-sharing service is going to have to wait longer. The company presented its application to the Instituto de Movilidad de Quintana Roo at the beginning of the year and after months of waiting, the institute has not granted Uber authorization. Apparently, the issue lies with a lack of regulation for services like Uber in Cancun. Quintana Roo instated the Mobility Law in June 2018. Uber filed a lawsuit against the law stating it was unconstitutional. Cancun Judge Ricardo Ruiz del Hoyo Chavez ordered a permit to allow Uber to return to Cancun. 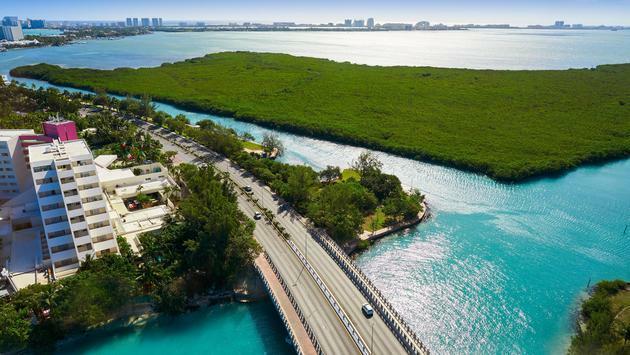 Jorge Perez Perez, general director of the Instituto de Movilidad de Quintana Roo, says the Mobility Institute, which was created with the new Mobility Law, cannot grant new concessions or authorizations yet, as they have not created regulations. “By law, we have time for the preparation of regulations, which must be completed in July of this year. It will be then when we will be able to authorize this and other requests for concessions and permits, but without regulation, we cannot grant concessions or any permissions,” explained Pérez Perez. “The absence of a regulation, or any other argument outside the Mobility Law, should not serve as a justification to harm its citizens by depriving the Quintana Roo people of a reliable and efficient transportation service,” said Crespo. “We regret that once again, the authorities of the state ignore the requests made under the legal framework, as well as their citizens who have raised their voices to demand greater and better mobility options."